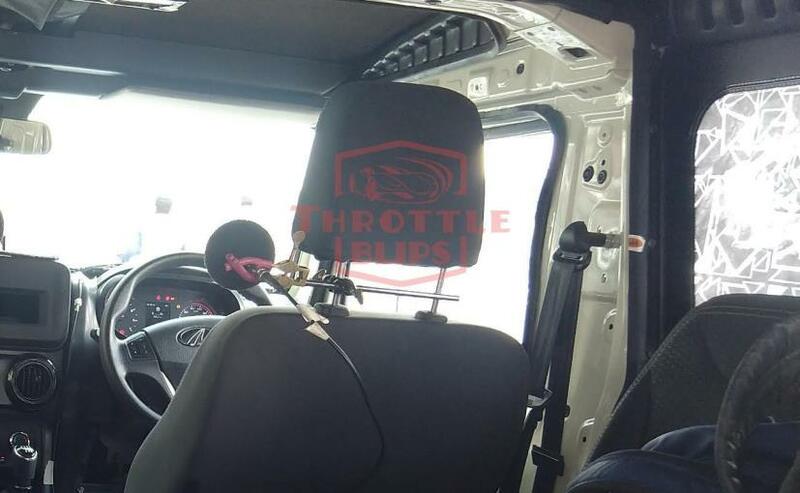 The 2020 Mahindra Thar was recently caught testing in India again, and this time around we get to see the cabin of the next-gen model. The new-gen Mahindra Thar is going through a major makeover, and these latest images give us a glimpse of the kind the changes the cabin is set to receive. For starters, the new 2020 Mahindra Thar comes with an all-new black dashboard, which now comes with housing for a touchscreen display. The position of the round central air-con vents is the same but they now get glossy black treatment, and dials below suggest we might even get automatic climate control. One of the images also gives us a glimpse of the new steering wheel and the brand-new instrument cluster, which now also comes with a MID (Multi Information Display) unit at the centre. The steering wheel too features buttons for audio and telephony among others. We also get to see the new gear lever. 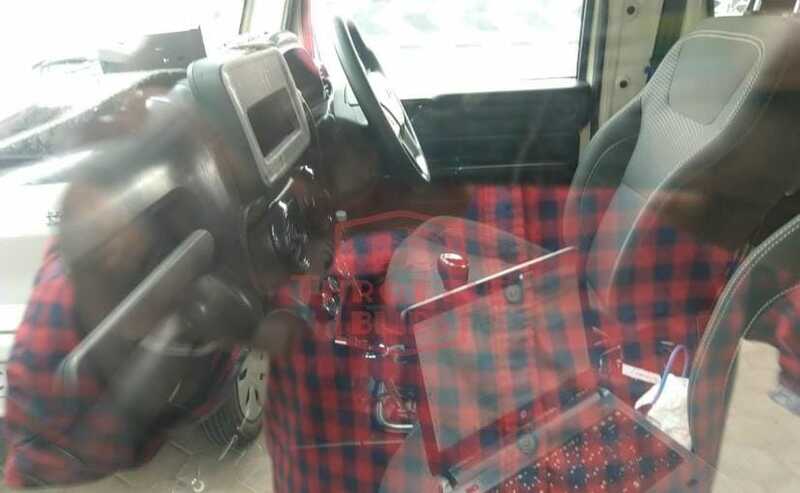 The cabin will also get new seats with improved fabric upholstery, while at the rear, gets side-facing bench seats, which also looks a bit more premium compared to the outgoing model. From the outside, the prototype model is still heavily camouflaged, and unlike the previous models, the SUV comes some additional cladding and large fenders. The Thar continues to feature its Jeep-inspired 7-slot grille up front, with the classic round headlamps on either side. Although these are halogen lights, the production model is expected to get projector light and possibly LED daytime running lamps. The rear-end features with a standard vertical taillamp and a tailgate-mounted spare wheel. The engine details for the upcoming new-gen Thar are still unknown, however, the SUV is only expected to get a BS 6 compliant engine. Currently, the Mahindra Thar is powered by a 2.5-litre CRDe diesel engine that makes 105 bhp at 3800 rpm and develops a peak torque of 274 Nm from as low as 1800-2000 rpm. It gets the standard 4WD system with high & low ratios.